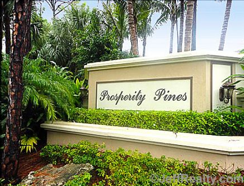 Prosperity Pines Palm Beach Gardens homes is an exclusive enclave of 43 single family estates built by MI Homes in 2002. The smallest models are 3 bedroom 1900 square foot ranches and the largest are over 3500 square feet with 5 bedrooms. Most estates are situated on ¼ to ½ an acre. The setting is what is so gorgeous. Tropical foliage with Palms and Pines gives this newly built community lots of charm. The subdivision backs up to a natural preserve area and MI Homes did a great job in using this tranquil setting to the advantage of the residents. Prosperity Pines Homes online now. All listings & Sold Statistics! Old Florida charm in this pristine setting combines with Mediterranean design, concrete block (CBS) quality construction, 3 car garages, brick paver driveway, and Bahamas shutters to create a wonderful look you just want to call home. The homeowners association (HOA) takes care of lawn care, common area, cable and the gated security. Palm Beach Gardens has terrific schools and is close by to I95/Florida Turnpike for easy work commute and airport access. Lots of play with beach proximity, nearby parks, golf and tennis, restaurants, marinas, and shopping make the year round warm weather a delight to live in. 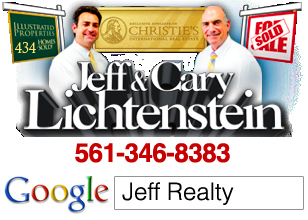 Posted in Palm Beach Gardens homes for sale, Uncategorized on September 29, 2011 at 2:12 am.